Stow your gear in style. 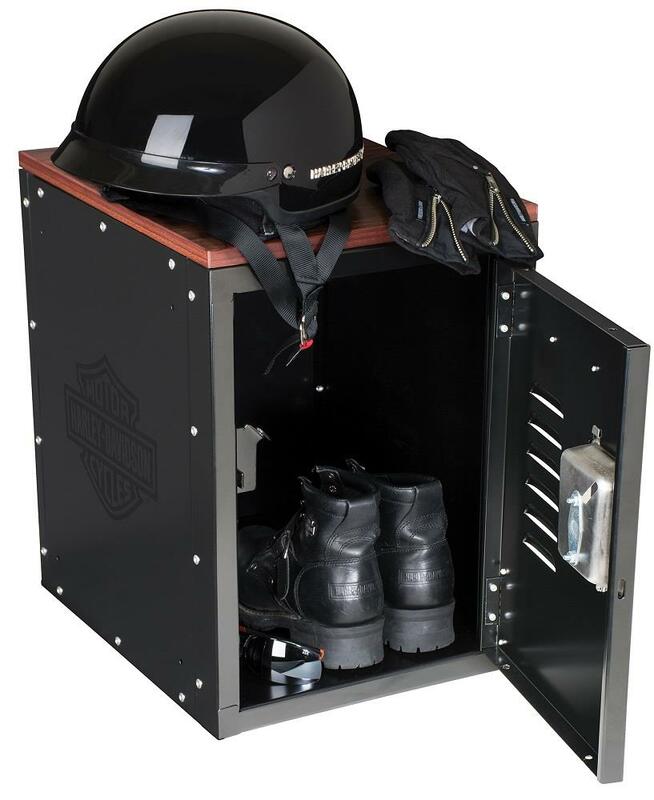 The unique Harley-Davidson™ Bar & Shield Logo Metal Storage Locker keeps your riding essentials organized, and it doubles as a bench! 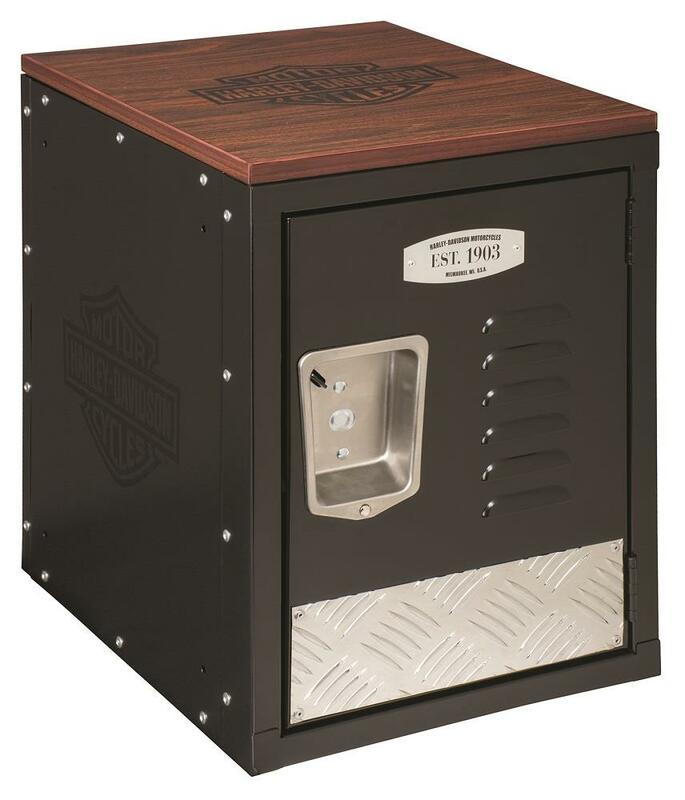 The double laminate on the top of the classic black metal locker features the Bar & Shield logo on a natural wood grain design. Want to create a double or triple locker design? 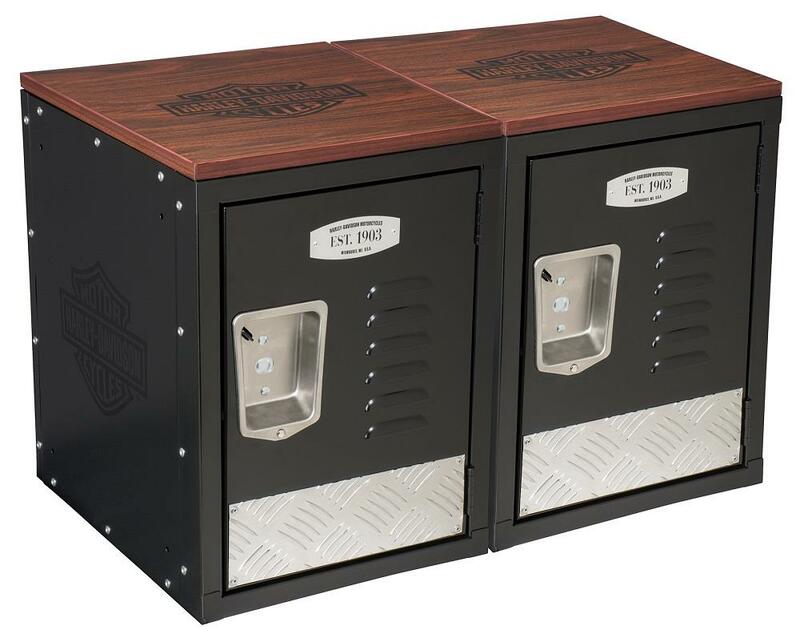 Each locker comes with components to connect to other units on either side. Measures 13.5”W x 20”H x 16.5”D.